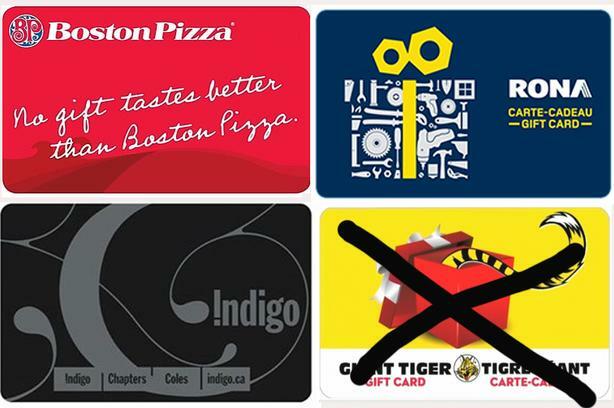  Log In needed $1 · New Unused Gift Cards - Make a reasonable offer! I have Many New Unsed Gift Cards for sale. These would be great to give to someone as a gift or I will trade for Walmart, Loblaws, Food Basics, or Bulk Barn gift cards. All amounts are in Canadian dollars. LET ME KNOW HOW MANY CARDS YOU WANT AND I'LL PROVIDE YOUR DISCOUNT. I WILL NOT ACCEPT OFFERS LOWER THAN 15% OFF OF EACH CARD. LOWBALL OFFERS WILL NOT BE ANSWERED. I can also mail these to you for free upon receipt of a money e-transfer.